William C. Davis started his career not as a manager of organizational diversity and inclusion, but as an example of it. Born in El Paso, Texas, he was listed as White Non-Hispanic in public school records by his mother out of fear that his predominantly-Mexican heritage would hamper his educational opportunities. His non-Hispanic last name made it easy to ignore his background, but nevertheless, Mr. Davis insisted in the 10th grade on changing his records to accurately reflect his ancestry. His emerging discovery of his identity as a member of the LGBTQ community while he was a scholarship student at the University of Texas at El Paso helped him develop an even deeper appreciation for the principles of diversity and inclusion and the belief that all people must be accepted, included, and nurtured to achieve their full potential. Following in the footsteps of his father and his grandfather, who had both earned engineering degrees at UTEP, Mr. Davis went on to receive both his Bachelor’s and Master’s degrees in Metallurgical and Materials Engineering from the western-most campus in the UT system. While he was there, he became involved with MAES – Latinos in Science and Engineering, an organization that he now leads as National President. He was also active with multiple other engineering and student groups, and he gained valuable experience through university internships at North Star Steel and ExxonMobil. Immediately after graduation, Mr. Davis joined NASA’s Johnson Space Center as a Parts, Materials, and Processes Engineer in the Safety and Mission Assurance Directorate. In this role, he was the subject matter expert for Materials and Processes Engineering, serving as the SMA representative to all of JSC’s human spaceflight programs, providing technical expertise for M&P-related issues with responsibility to ensure safety, reliability, maintainability, and quality of human-rated spaceflight hardware. In 2011 he became the program manager for JSC’s Anti-Counterfeiting program, responsible for the development of JSC’s approach for dealing with counterfeit materials in spaceflight hardware. He also assumed responsibility for oversight of M&P issues for all human spaceflight programs and supplier-related risk information across NASA. During this time, Mr. Davis became the Secretary for NASA’s Hispanic Employee Resource Group (HERG) and also served as an officer with the Out & Allied ERG. His experience in both those groups fostered a transfer to the Office of Equal Opportunity and Diversity (ODEO) as an Equal Employment Specialist in 2017, where he now serves. In this position, he is responsible for advising stakeholders (including senior leaders, supervisors, employees, and applicants) on equal opportunity (EO) policies and practices and services including alternate dispute resolution to settle EO complaints, reasonable accommodations for individuals with disabilities, and diversity and inclusion more broadly. Within several months of joining ODEO, he was named Deputy Diversity & Inclusion Manager responsible for advising senior management on D&I initiatives and helping manage JSC’s nine ERGs. 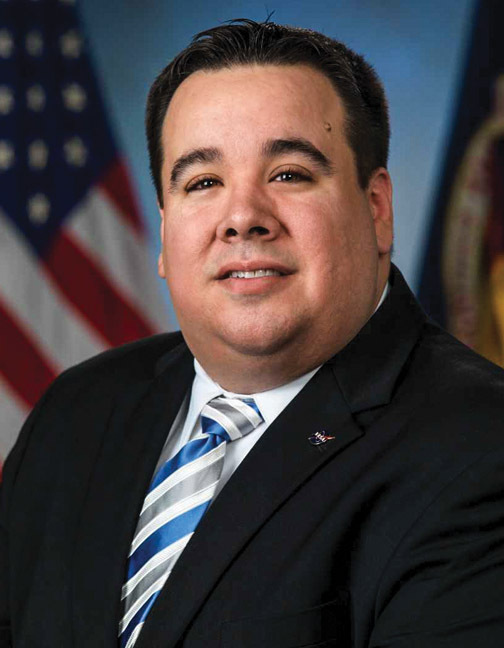 A 2009 graduate of NASA’s FIRST (Foundations of Influence, Relationships, Success, and Teamwork) Program, Mr. Davis is the recipient of NASA’s Agency Equal Opportunity Medal, a past HENAAC Luminary honoree, a Space Flight Awareness Group Award, and a recipient of a NASA Employee Performance Award every year since being hired by NASA. He also holds a NASA Green Belt Certification in Lean Six Sigma. Mr. Davis epitomizes the HENAAC Conference better than almost anyone. As an undergraduate conference attendee he received a HENAAC scholarship and competed in the first ever College Bowl, finishing in 2nd Place with his Raytheon team. He’s attended numerous conference subsequently as both a student and a professional and has grown into a successful national leader admired by students and colleagues alike.